We all come with a specific set of character strengths that makes us unique. And at one point or another, you’ve probably been told what your unique strengths are. Perhaps your friends have praised your creativity or mentioned how good of a leader you are when it comes to collaborative work. Now imagine being able to use these attributes as superpowers to create a happier life for you and the people around you. Research has shown that identifying your character strengths can help you develop better relationships and live a more fulfilled life. This is because when you focus on your best qualities rather than your weaknesses, you develop more self-confidence and feel happier in general. According to Dr. Martin Seligman and Dr. Christopher Peterson, two pioneers of positive psychology, we all possess 24 character strengths to various degrees. These strengths fall into six different categories: wisdom, courage, humanity, justice, temperance, and transcendence. 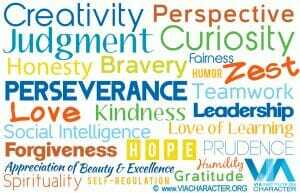 If you are not sure what your character strengths are, take the VIA Character Survey. This scientific survey will help you discover your best qualities in less than 15 minutes. Another great way to find out what your character strengths are is by simply asking your closest friends and family. Send an email to the 10 most influential people in your life, and ask them what they think your unique qualities are. After you’ve received their emails back, write a list of all the qualities that were repeated in their answers. You’ll be surprised by the number of positive answers you get. On top of that, you’ll probably learn something new about yourself as well. Recognizing your own character strengths is just as important as recognizing the strengths in others. So how can you help others recognize what’s best in them? Don’t just call your friends to go shopping or gossip about your neighbor. Instead, meet up with your friends to do unusual things. For example, if you consider appreciation for beauty to be one of your friend’s top strengths, invite him to join you on a nature walk where you can take beautiful landscape pictures. And if your strength happens to be creativity, you can create something awesome together. I bet your friend will feel much more satisfied after having spent time doing something inspiring and creative rather than just going shopping for shoes. If you have friends whose top three character strengths fall into the category of humanity, organize activities that involve kindness, social intelligence, and love. Perhaps you can form a cooking club where you can cook meals for homeless people together. Write down the things you love about your friends on a piece of paper. They should be related to the positive aspects of their personality. Give your friends this list whenever they are feeling down or “powerless”. This way, they’ll be reminded about their unique superpowers. Encourage your friends to have regular meetings to talk about your projects and goals in life. Is there something that’s stopping you from working towards your vision? Perhaps it’s past beliefs, grief, or negative thoughts. How can you develop hope and zest for the future? Exchange ideas of what activities you can do to develop the strengths needed to reach your goals. The good news is that character strengths can be developed. If you’d like to cultivate more gratitude, surround yourself with people who practice it. 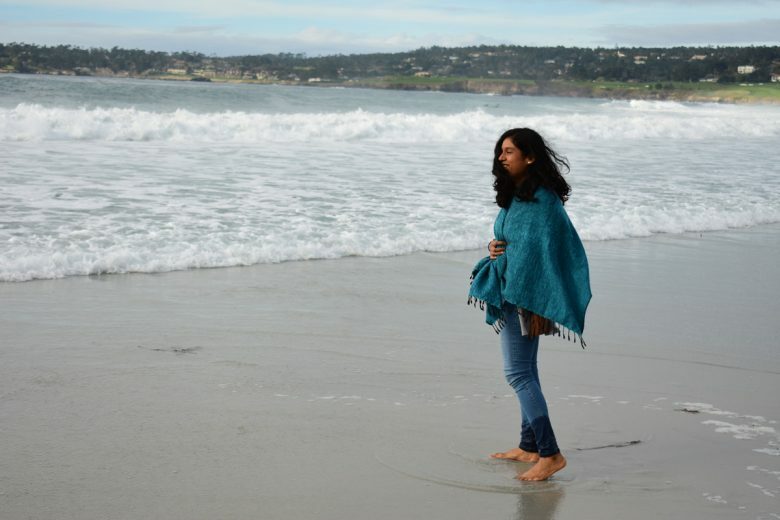 If you want to create more hope in your life, practice visualization for five minutes a day. Or if you want to boost kindness, let somebody go first in the supermarket queue. Like mother Teresa once said, “Always leave people better than you found them.” When you strive to highlight the strengths in others, you make the people around you feel unique and special. Consequently, you make an impact in their lives. Instead of trying to make others be like you, celebrate the superpowers others have to offer. Think of what you could do if you and the people around you could combine your character strengths. Wouldn’t that make this world a better place to live in? This article itself is the combination of two superpowers: my perseverance in writing, and the creativity of Karen Olivares in this illustration. Great post. Personalitly tests can really help figure out who you are and who you want to be. Keep up the great work, and incorporate more organisations and persons in your work! Nice article and it was a pleasure to read. I need to find you on Facebook. I just did a simple post earlier today. I simply stated: “Enthusiasm” is my superpower.